There are a few day trips you can take from London; last time we did the Warner Bros. Studio Tour up in Watford, and on this trip we decided to spend a day in Oxford. For two bookworms who love learning and love annoying each other with the new things we learn, Oxford was a dream. There’s an energy there that’s indescribable aside from that it’s to be expected from the second-oldest continuously operating university in the world. There isn’t a designated campus; the University of Oxford is made up of constituent colleges and academic departments who function independently and are scattered throughout the central part of the city. It was super easy to take the train from Paddington Station into Oxford, and a quick walk or bus ride to most of the action. Oxford is so beautiful. I don’t often get the itch to go back to school, but walking around the Bodleian and Weston Libraries had me wishing I was studying in some little library nook all day. Don’t even get me started on Blackwell’s Bookshop. I could truly live in there. A quick Google search will bring up the “Harry Potter trail” and we (fine, I) decided that was the most efficient way to wander around. I need you to look at my face in the following photos. I tried so hard to contain my sheer joy & happiness but it’s real hard when you’re standing IN THE ACTUAL GREAT HALL. Ahhh!!! And as someone who comes from a Catholic family, Christ Church was an incredible sight to take in. 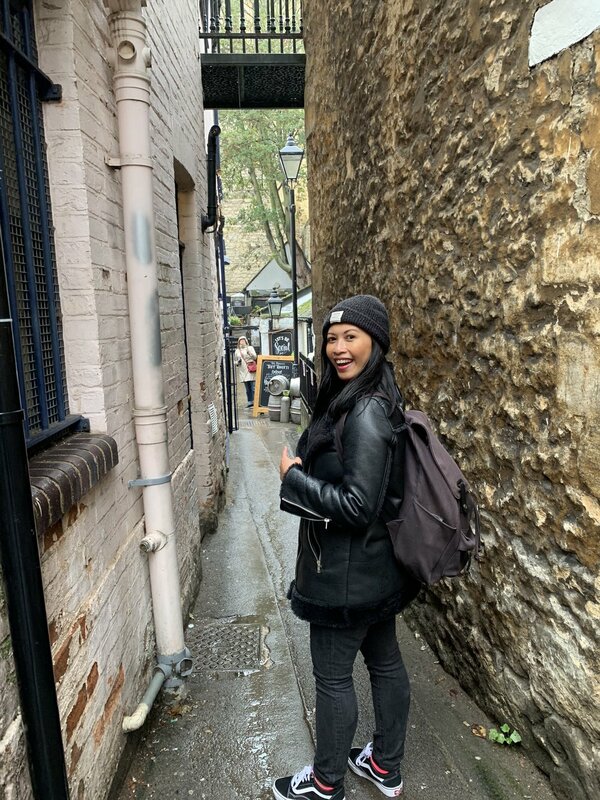 I’d love to come back and explore more of Oxford one day, hopefully with Anisa. Until then, thanks U.K. for another fabulous time!